To disable the compression of image files under puush.me, follow the below procedure:. In the "Screen Capture Quality" section, select "No Compression (always PNG)". Published by jak58. Latest update on March 26, 2013 at 06:26 AM by jak58. 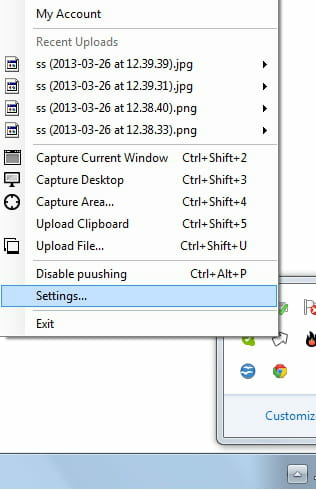 This document, titled "Puush.me - Disable compression of files," is available under the Creative Commons license. Any copy, reuse, or modification of the content should be sufficiently credited to CCM (https://ccm.net/).